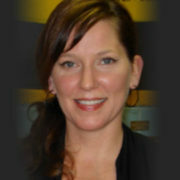 Colleen has been practicing as a massage therapist for eighteen years and as a yoga instructor for three years. For many years, she has shown both English and Western. She has also trained two of her own horses. The Equus Coaching Program has taken Colleen’s experience to a whole new level. Her awareness and communication skills with people and horses have expanded in new and fascinating ways. She is grateful for her experiences and would like to share them with others. Namely, she wants to share that we do have choices and can choose to live a peaceful and happy life. Horses DO have the ability to mirror back what we are feeling and this can be an invaluable tool to discover more about ourselves and each other. She lives with her husband on a beautiful farm in southwestern Ontario, where she enjoys spending time riding and working outside. She is currently coaching individual sessions at her farm, which is a private, safe, and comfortable environment.